Unfortunately, because of the region's mild climate, locals rarely get the chance to enjoy the slippery, cold delight of snow. 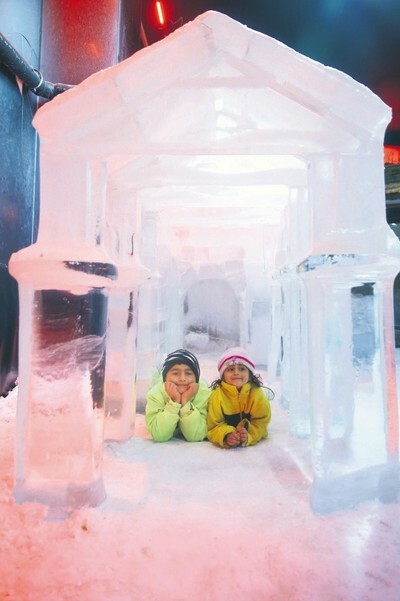 However, Snow World now offers the residents of Antalya the opportunity to experience snow where it almost never falls. Snow World, the region's first and only indoor winter sports facility, offers locals a variety of snowy activities. Covering 1,500 square meters, the facility produces snow nightly to prepare for the next day's chilly fun. Inside the facility, the temperature hovers around minus 5 degrees Celsius, and visitors are expected to wear ski pants and jackets. With attractions like igloos, Santa's house and a bistro, the setting creates a winter wonderland for children and adults who have never had the chance to experience traditional chilly winter fun.